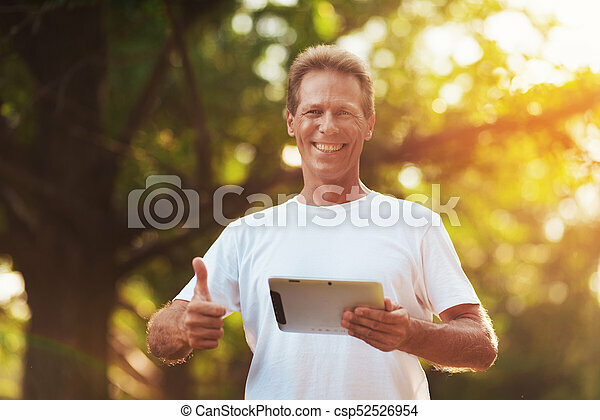 A man is standing in the park holding his gray tablet. 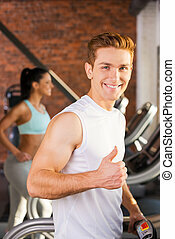 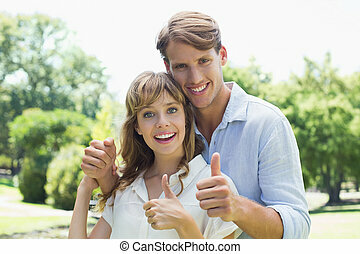 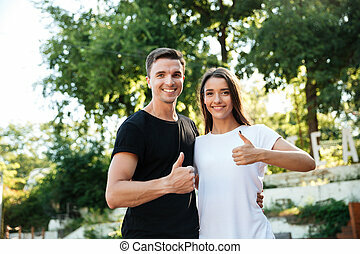 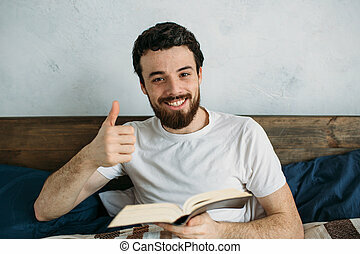 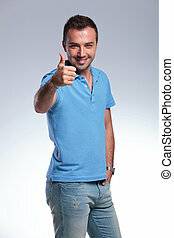 He looks at the camera and shows a thumbs up. 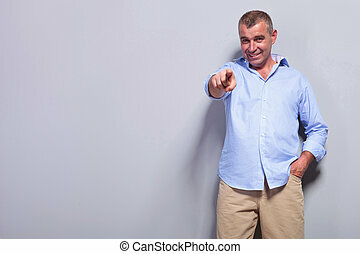 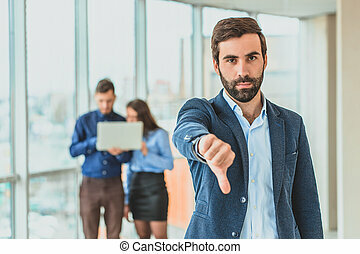 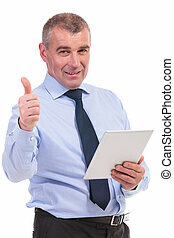 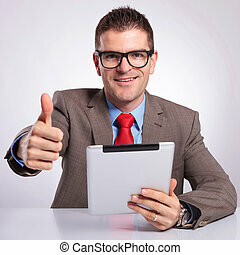 A businessman is standing at the office showing a gesture class down. 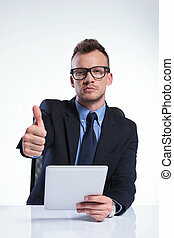 During this time, he stands against the background of his colleagues who work in the laptop.